Nicki Minaj is still mourning the death of her tour manager De’Von Pickett, who was stabbed to death last week during a bar fight at a restaurant in Philadelphia. According to ABC Action News 6, cops have made a breakthrough in the case arresting 31-year-old Pierce Boykin. Boykin was picked up in the 1300 block of East Sedgwick Avenue in Philadelphia and was charged with Attempted Murder, Aggravated Assault, Terroristic Threats, Simple Assault. He could be charged with murder at a later date. De’Von Pickett is touring with Nicki Minaj and was in Philadelphia for rehearsal for her upcoming tour. The 27-year-old, who is also known as DayDay, along with Eric Parker, were at the Che Bar and Grill last week Tuesday with a group of friends when the incident took place at around 2:30 AM. Parker, who was stabbed several times, is in the hospital. 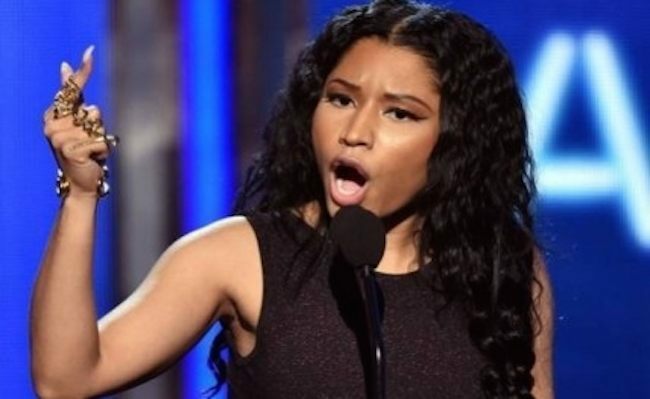 Nicki Minaj confirmed the stabbing death via her Twitter page last week. She also posted a photo of Pickett and Parker on Instagram taken before the attack. Pickett also previously served as a tour manager for Rihanna.